I read a review for this issue and found it to be so completely opposite of how I felt about A+X #3 that it was almost comical. 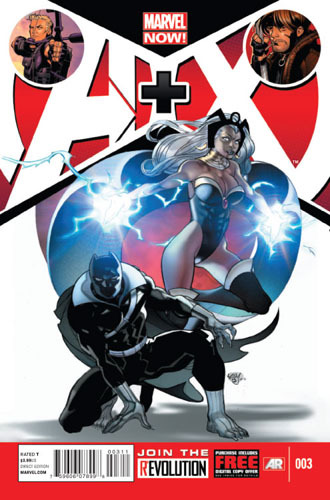 The first story is Storm and Black Panther. Not only does Storm act a bit petty at times (though admits to it) but she really does have classic ‘ex-girlfriend syndrome’ while BP just stands around all ‘well, I did the right thing’ even though he’s the freaking King and basically Batman meaning he can do whatever the hell he wants. This is only less shameful than their fight in the AvX matchups where Storm declares “maybe if we had children we could have worked things out”. Iron clad proof that there needs to be more female writers on staff. 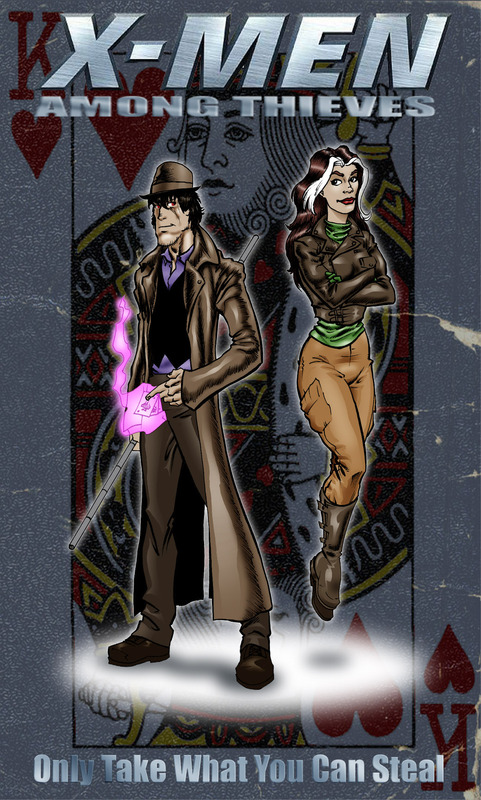 Course, I then admit to my hypocrisy when I mention the second pair up of Gambit and Hawkeye, two gentlemen who are very easy on the eyes and women just fall all over (and who are currently battling it out for sales of their launched-at-the-same-time solo titles), and just how yummy they are. Granted, their rescue of a ‘Damsel in Distress’ is pretty cliché and worn, but then this is Gambit and Hawkeye, it’s what they do, this is partly why women love these characters so much. Gambit is the smooth talking badboy while Hawkeye is the beefcake jock. In the end, Hawkeye gets the lady’s attention but Gambit steals it away, again, this is what these guys do. Never has there ever been a more perfect defining moment for either of these guys. I’m pretty sure the reviewer I mentioned above is a Hawkeye fan-boy and didn’t like that Gambit got one over on him… but if Gambit didn’t, then it wouldn’t be Gambit, or even Hawkeye, the guy who can’t even go out and buy some scotch tape without everything going wrong, and still not get the tape. Now I’m waiting anxiously for the next issue which sees Captain American paired with Kid Omega… that should be… fun?